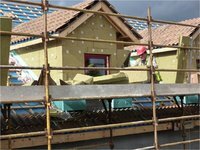 Super Insulation is a crucial aspect of Passive Design. 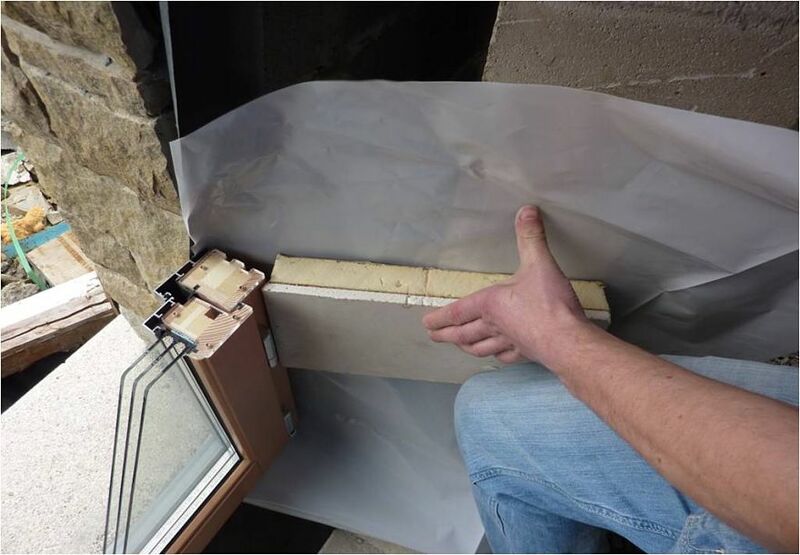 In a standard build the levels of insulation are not sufficient to satisfy the passive standard of between 0.10 - 0.15 W/m2K; also in a standard build there is a high level of thermal bridging and air leakage throughout the structure which is not feasible when trying to obtain the passivhaus standard of 15 kWh/m2 per year for energy demand. A Thermal Bridge is created when materials that are poorer insulators (e.g. concrete blocks) than surrounding materials come in contact, allowing heat to flow through the path created. 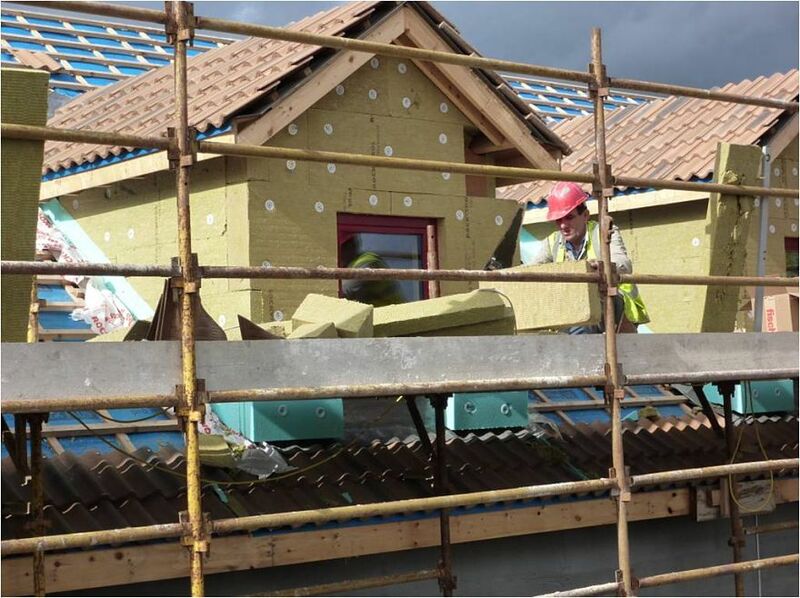 In passivhaus construction the dwelling is super insulated and thermal bridging is eliminated to prevent heat loss; ensuring the Passivhaus standard is met. A prime example of thermal bridging is in the strip foundation detail; this is evident in the sketch below. There is heat loss down the inner leaf and also through the floor (due to the minimal amount of insulation). 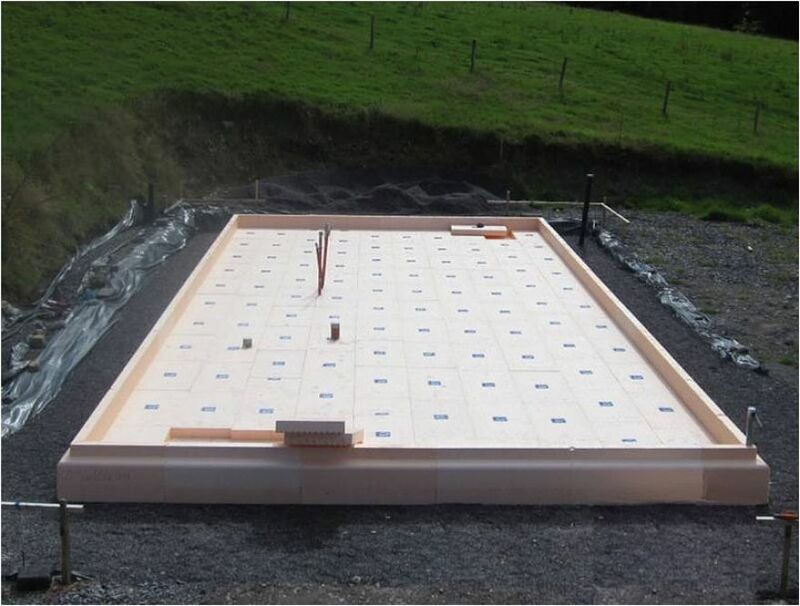 A passivhaus foundation cannot achieve the passivhaus standard with these heat losses. One such foundation detail is the passive strip from integrated energy; it eliminates thermal bridging down the inner leaf with the use of lightweight insulated concrete blocks (yellow blocks in sketch). The foundation also uses 150mm of insulation underneath the floor to prevent heat loss; the end product of this being a strip foundation that can be used in passivhaus construction.